The first Ukrainian organic sugar presented in Kiev. Sugar is made from organic beet by the enterprise "DEDDENS AGRO" in the Rivne region. “In 2018, we laid 247 hectares for organic sugar beets. And when the sprouts appeared, the first field of crops was eaten by a pest in two days. We cleaned the field and sowed it a second time. In 2019, we plan to sow 350 hectares of organic sugar beet, ”said Viktor Scherbachuk, General Director of DEDDENS AGRO LLC, during the presentation. He noted that the cultivation of organic sugar beets is a technologically complex process that requires a lot of manual labor and considerable investments. According to him, the cost of one hectare of organic sugar beet is currently about 90 thousand UAH. “But it’s a profitable business, otherwise we wouldn’t do it,” emphasized the head of the company. 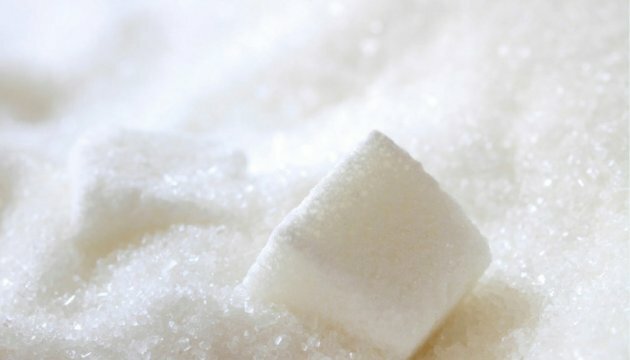 This sugar was already presented at the beginning of February at the International Exhibition "BioFah" in Nuremberg, where two buyers were auctioned for the purchase of 850 tons of sweet product and in the end the company from the Netherlands won. In the near future, this organic sugar will be presented at the "BioFah" exhibition in China. And about. Olga Trofimtseva, Minister of Agrarian Policy and Food of Ukraine, said that Ukraine is among the 20 largest producers of traditional (convection) sugar in the world and closes the top ten exporters - in 2018, exports amounted to $ 217 million. Back in 2009-2010 Ukraine was certified organic beet, but only as a raw material. Now it is produced from sugar. In general, according to the Acting Minister, according to the operational monitoring of the Ministry of Agrarian Policy and Food of Ukraine, at the end of 2017, the total area of ​​agricultural land certified for organic farming in Ukraine is 201 thousand hectares, of which 88 thousand hectares are in transitional state. "The share of organic lands in the total land area is 0.67%. The number of market operators is 504, of which 304 are producers of organic agricultural products. All the rest are traders and processors. Ukraine exports organic products to more than 40 countries of the world. And now the whole potential for organic in Ukraine has not been used, so work on the development of the market for organic products continues. And this will be promoted by an organic law that will come into force on August 2, 2019, "said Trofimtseva. Sergey Bondarev, a leading certification specialist for Organic Standard LLC, said that certification of organic Ukrainian sugar turned out to be a certain professionalism test for a certification company. After all, until now in Ukraine there was not a single sugar-growing enterprise certified as organic, and here it was necessary to check for compliance with the requirements of organic production both the agricultural part and the sugar production itself. “And now we have experience and can certify other producers of Ukrainian organic sugar,” said Bondarev.